I’m still not sure what my feelings are for India. It was an extremely interesting place, full of culture, amazing food and beautiful architecture. 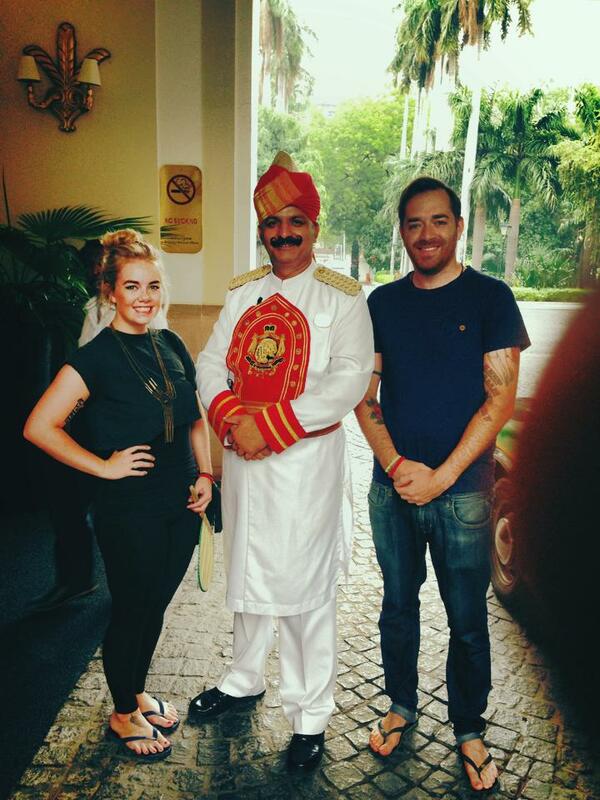 However I struggled quite a bit while in India. 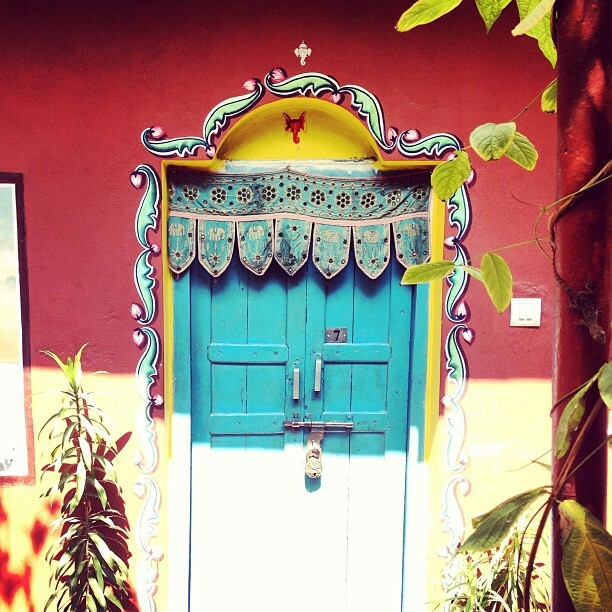 We started off in Varanasi and stayed in a lovely little hotel that was right on the edge of the Ganges, it was a really cute hotel that had amazing paintings around the doorways and the food in their restaurant/cafe was to die for. I’d never had a cheese curry before, in India they’re pretty common as most people are vegetarians, but I fell in love with them in this hotel. 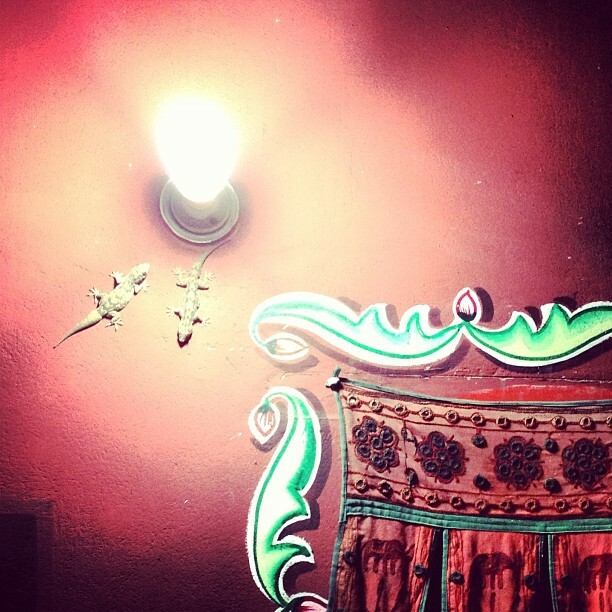 Although the food was great and the doorways were beautiful, the hotel room itself wasn’t the best I’ve stayed in. The room itself was decent enough, good size, however the bedding didn’t come across as the cleanest and the water for the shower was directly from the Ganges – so you ended up smelling worse then you did when you went into the shower. I think you don’t always have to be precious with things like that, however it was extremely hot and humid and a fresh shower after a long day of sight seeing would have been amazing. We hired a car to take us to the Taj Mahal, which was around a 4 hour drive from Varanasi and as expected this really was the highlight of the trip. 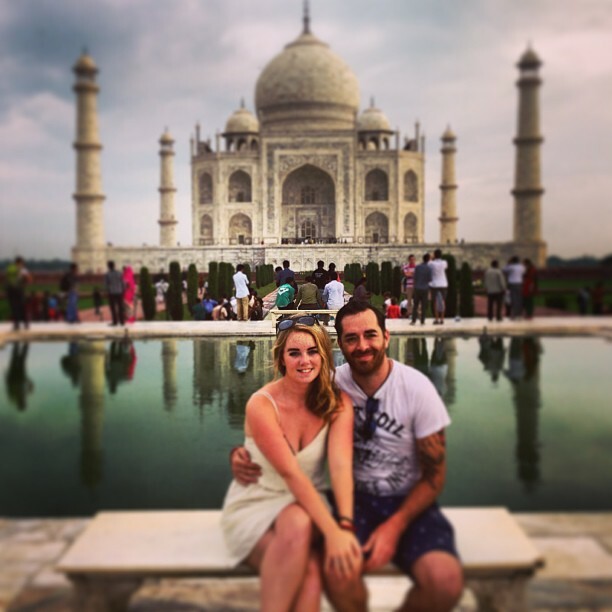 We had a lovely man show us around, take our photos and tell us all about the build of the amazing Taj Mahal. If you get a chance to go, I would definitely recommend hiring someone to show you around – just make sure they don’t scam you out of your money! 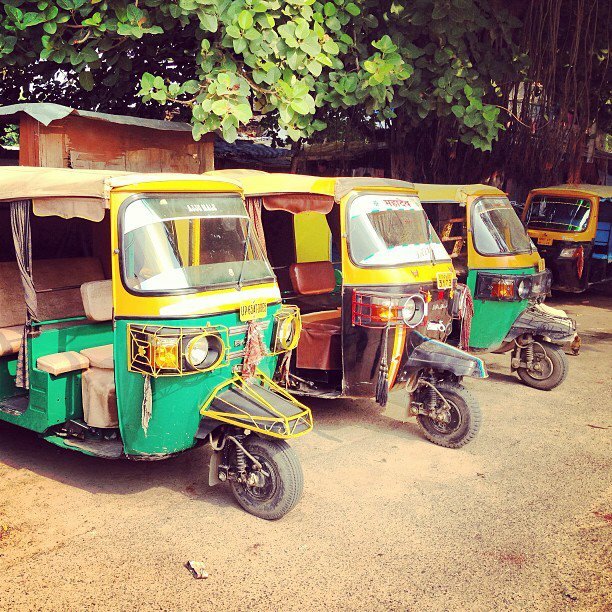 We had our driver for the whole day which was amazing as he took us around to some great markets and gardens. 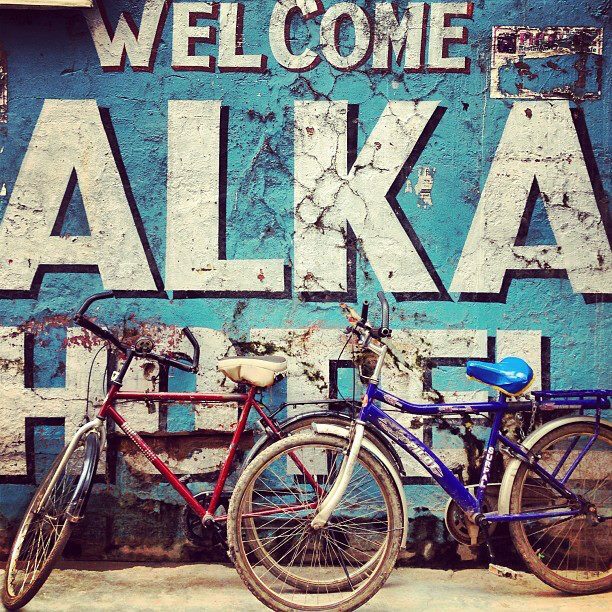 We were totally amazed by the interesting colours the country had to give, tuk tuks and cars were always painted with impressive patterns – it really gave that something extra when walking down the street. One of the reasons I’m not sure on my feelings on India is down to the fact that I personally found it quite difficult there. I’m not sure if it was because I’m blonde, that we had ‘namaste’ tattooed on us, or because I had my shoulders exposed, but everyone stared at me a lot which I found really hard. I wasn’t sure if I was offending people, which maybe I was because my shoulders weren’t covered or if it was purely down to the fact that not many western people visited India much. I also found the pollution and noise quite hard to deal with. I had a constant head ache and ended up finding it all very stressful, and when I get stressed I get terrible mouth ulcers. So true to form when stress levels started to rise, I developed some pretty nasty mouth ulcers, to the point where I couldn’t close my mouth properly from my mouth being swollen and it was extremely painful to even smile. 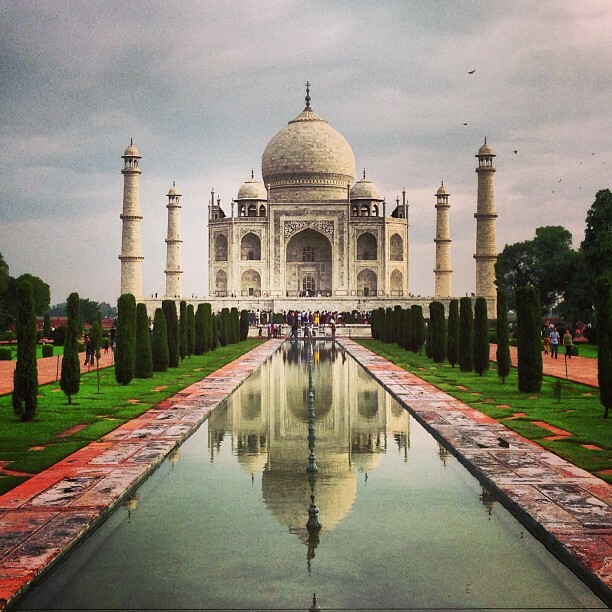 I would love to return to India now I know what to expect and give it another shot. I think Varanasi was slightly more difficult then when we moved onto Delhi as Delhi seemed slightly more westernised. 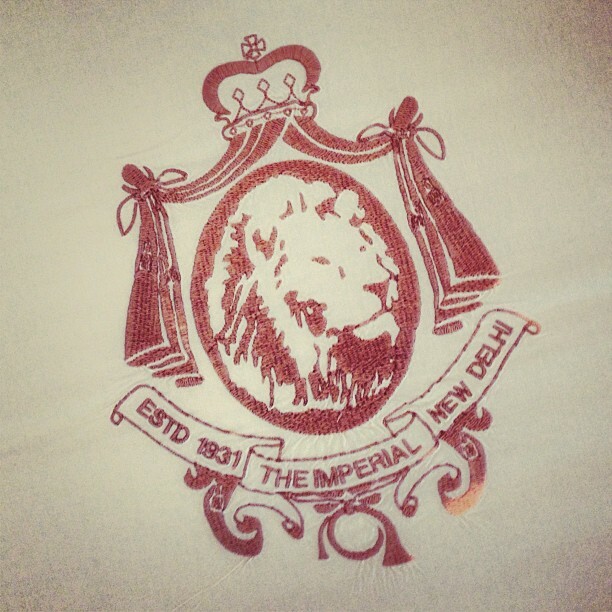 We stayed in an amazing hotel called The Imperial in Delhi – it was just what the doctor ordered, almost literally! This hotel was AMAZING. It was arriving here that made me remember why I was never cut out for going traveling and staying in hostels. I have always wanted to be the kind of person who doesn’t mind where they stay however this trip made me realised thats just not me, I just love a Ritz! Turn down service, a bathroom the size of the bedroom, a spa and free yoga classes – B.L.I.S.S – I could feel the stress being washed away, along with the dirt I had accumulated from the Gange shower water (you wouldn’t want to have seen what the colour of that bath water was). The calm oasis of the hotel was an amazing contrast to the manic streets of Delhi, you get what you pay for here!